Omaha: Celebrate Halloween All Month Long At Drafthouse Of Horrors | Birth.Movies.Death. October in Omaha is going to be a scream! It’s almost time, kids! Halloween is right around the corner and the Alamo Drafthouse in Omaha, Nebraska is kicking things off with 31 hair-raising days of horror. 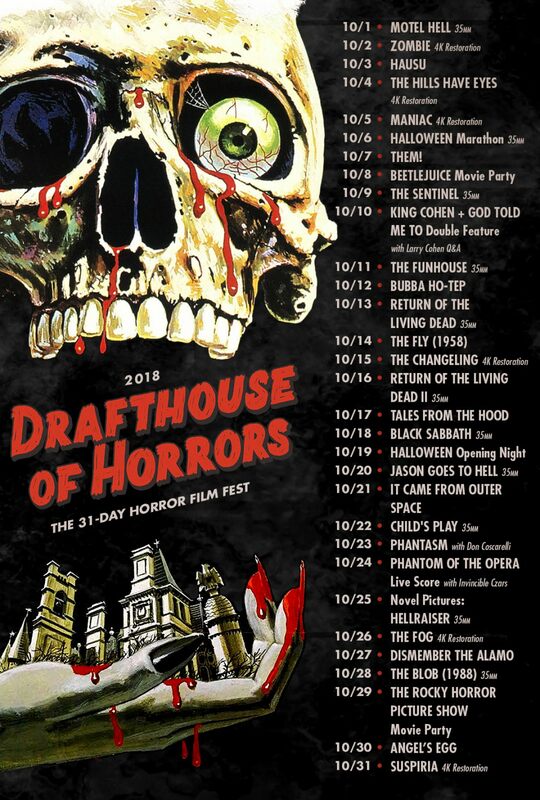 Drafthouse of Horrors is a month-long celebration of the genre, featuring a different horror film each day in October. The lineup includes something for everyone, from classics (The Fly, The Blob in 35mm) to fun favorites (Beetlejuice, The Rocky Horror Picture Show) to 4k restorations of beloved titles (Suspiria, Zombie, The Changeling, The Fog). 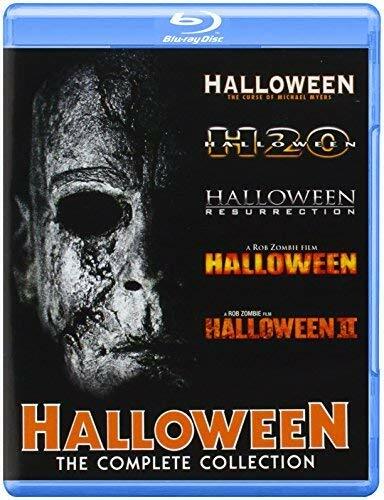 Also, don’t miss the Halloween marathon on October 6th ahead of the new film's premiere on October 19th. October in Omaha is going to be a scream! Check out the details below. Ah, another October is upon us which means another month of experiencing deep, dark fear. That’s right, another month of flesh-devouring dead to rise from their graves to feast on your souls. A month for ghouls and goblins to run wild in the streets of Omaha. A month for horror, gore and macabre to reign. Once again, the Alamo Drafthouse Cinema Omaha is bringing you 31 straight days of flesh-ripping, nail-biting, fear-inducing horror films. Welcome to the “Drafthouse of Horrors 2018.” All month long we’re dishing out a devilish variety of classics new and old to satisfy any horror fan’s taste. Steel your nerves for an onslaught(er) of classic monsters, grueling and ghouling marathons packed with The Boogeyman himself, exceptionally twisted special guests, 4K restorations, rare 35mm screenings and more! Plus, this year you can purchase two different tiers of blood dripping festival badges to satiate your psychotic thirst for terror inducing films and events. The gates to hell are open. Come on in. In the Omaha area? Interested in attending? Of course you are! You can get your tickets for any of these awesome screenings here. Better grab 'em while you still can!